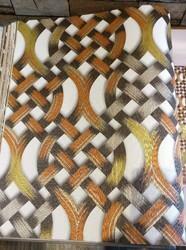 Pioneers in the industry, we offer motif design wallpaper, 3d bricks wallpaper, cork and mica wallpapers, damask wallpaper, 3d designer wallpaper and motif wallpaper from India. This is one of the modern design brick wallpapers. It gives your wall a complete natural look. Very modern and natural looking brick. Cork is more popular than ever for walls because of its visual appeal and environmentally friendly qualities. These qualities make cork far from a passing fad. Cork wallpaper can also help insulate walls because it does not transfer heat or cold, so it can actually save you money on heating and cooling costs. Cork Wallpaper can be dressed up in contemporary colors and styles. 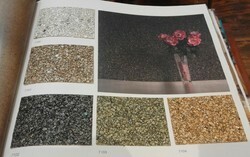 We offer an impressive selection of cork wallpaper in a wide array of earthy colors. One of the most popular types of Cork and Mica features with Metallic Coating to add luster and appeal. 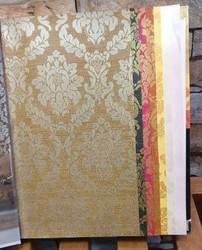 This wallpaper is elegant and shimmering, and have smooth, wavy textures, or feel rough to the touch. Cork wallpaper is more versatile than ever—and may save you money in the long run. Design It's a vertical design modern multicolored Korean wallpaper. Imported WallPaper with multicolor vertical 3D designs. 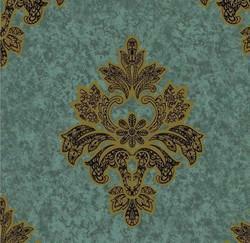 Designer Motif Wallpaper. Heavy vinyl and modern design with 3D effects. Available in all colours. Amazing Brick effects Wallpapers with new Modern design and natural colours. 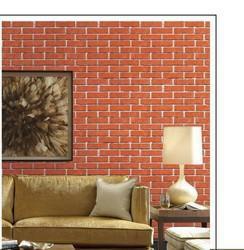 Our incredible collection of realistic brick textures are some of our top selling designs. It gives the real effect of the brick on the wall.